Dr. Diana Rohlman (Research Translation Core) was invited to speak at the 2018 Council of State and Territorial Epidemiologists Annual National Disaster Epidemiology Workshop in Atlanta, GA.
She discussed her collaborative work with Dr. Kim Anderson in designing a disaster response IRB, allowing rapid response in the event of a disaster. This IRB was activated following Hurricane Harvey, and shared with the University of Texas – Houston, Baylor College of Medicine and Texas A&M, allowing those three schools to receive disaster-specific IRBs as well. In addition, Dr. Rohlman highlighted the on-going work being done in the wake of Hurricane Harvey, using the passive wristband samplers. 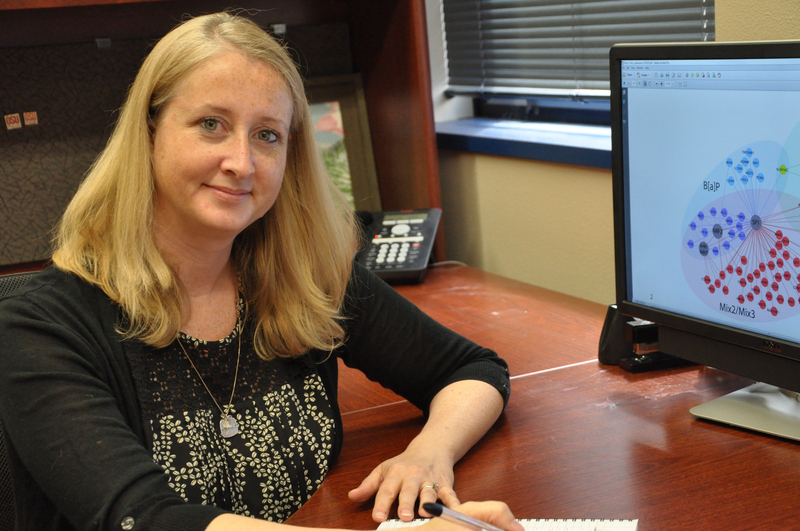 Dr. Kim Anderson is working with Baylor College of Medicine and UT-Houston to collect information from over 200 individuals living in the Houston area that were impacted by the extreme flooding. A total of 13 Superfund sites were flooded. Dr. Anderson’s analytic methods can detect up to 1,550 different chemicals in the wristband. This information will be reported back to the impacted communities, and is hoped to provide important information for future disasters to prevent or mitigate chemical exposures. CSTE is an organization of member states and territories representing public health epidemiologists. CSTE works to establish more effective relationships among state and other health agencies. It also provides technical advice and assistance to partner organizations and to federal public health agencies such as the Centers for Disease Control and Prevention (CDC). CSTE members have surveillance and epidemiology expertise in a broad range of areas including occupational health, infectious diseases, environmental health, chronic diseases, injury, maternal and child health, and more. CSTE supports effective public health surveillance and sound epidemiologic practice through training, capacity development, and peer consultation. The Disaster Epidemiology Subcommittee brings together epidemiologists from across subject disciplines to share best practices and collaborate on epidemiologic approaches towards improving all-hazard disaster preparedness and response capacities at local, state, Tribal, regional, and national levels. It is critical to use epidemiologic principles, emergency preparedness planning, and a coordinated disaster response for describing the distribution of injuries, illnesses, and disabilities; rapidly detecting outbreaks or clusters; identifying and implementing timely interventions; evaluating the impacts of public health efforts; and improving public health preparedness planning. Posted in Events, Research Translation, Researcher Highlight, Science Communication. This is an Oregon State University press release from 5-8-15 that shares about the collaborative research project of Project 1 and Core C – Biostatistics and Modeling. CORVALLIS, Ore. – Scientists at Oregon State University have developed a faster, more accurate method to assess cancer risk from certain common environmental pollutants. Researchers found that they could analyze the immediate genetic responses of the skin cells of exposed mice and apply statistical approaches to determine whether or not those cells would eventually become cancerous. The study focused on an important class of pollutants known as polycyclic aromatic hydrocarbons, or PAHs, that commonly occur in the environment as mixtures such as diesel exhaust and cigarette smoke. “After only 12 hours, we could predict the ability of certain PAH mixtures to cause cancer, rather than waiting 25 weeks for tumors to develop,” said Susan Tilton, an environmental toxicologist with OSU’s College of Agricultural Sciences. For at least some PAH mixtures, the new method is not only quicker but produces more accurate cancer-risk assessments than are currently possible, she said. “Our work was intended as a proof of concept,” said Tilton, who is also affiliated with the OSU’s multidisciplinary Superfund Research Program, a center funded by the National Institute of Environmental Health Sciences (NIEHS). Such a method will be particularly useful for screening PAHs, a large class of pollutants that result from combustion of organic matter and fossil fuels. PAHs are widespread contaminants of air, water and soil. There are hundreds of different kinds, and some are known carcinogens, but many have not been tested. Humans are primarily exposed to PAHs in the environment as mixtures, which makes it harder to assess their cancer risk. The standard calculation, Tilton said, is to identify the risk of each element in the mix – if it’s known – and add them together. But this method doesn’t work with most PAH mixes. It assumes the risk for each component is known, as well as which components are in a given mix. Often that information is not available. This study examined three PAH mixtures that are common in the environment – coal tar, diesel exhaust and cigarette smoke – and various mixtures of them. They found that each substance touched off a rapid and distinctive cascade of biological and metabolic changes in the skin cells of a mouse. The response amounted to a unique “fingerprint” of the genetic changes that occur as cells reacted to exposure to each chemical. By matching patterns of genetic changes known to occur as cells become cancerous, they found that some of the cellular responses were early indicators of developing cancers. They also found that the standard method to calculate carcinogenic material underestimated the cancer risk of some mixtures and overestimated the combined risk of others. Tilton collaborated on the research with Katrina Waters of the Pacific Northwest National Laboratory, and others. Their findings appeared in a recent edition of Toxicological Sciences. The study was funded by NIEHS, which supports the Superfund Research Program, a multi-partner collaboration that includes OSU and PNNL. Posted in Publications, Research, Researcher Highlight. Hi! 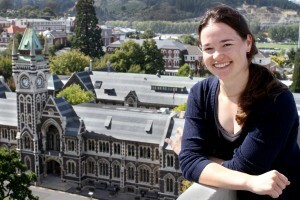 My name is Cleo Davie-Martin, and I am a recent arrival from Dunedin, New Zealand. I am a new Post-doctoral Scholar in the Department of Environmental and Molecular Toxicology at Oregon State University working with Dr. Staci Simonich under Project 5 of the SRP. I obtained my B.Sc. (Hons) in chemistry and more recently, my Ph.D. in environmental and analytical chemistry from the University of Otago under the supervision of Dr. Kimberly Hageman and Dr. Yu-Ping Chin. My research investigated the local- and global-scale atmospheric distribution of organic contaminants, including pesticides and brominated flame retardants. On my weekends, you are likely to find me backpacking through the mountains, camping under the stars, and/or exploring the coast (and when this beautiful weather ends… perhaps indoors on the climbing wall or playing badminton and squash). Posted in Researcher Highlight, Training. 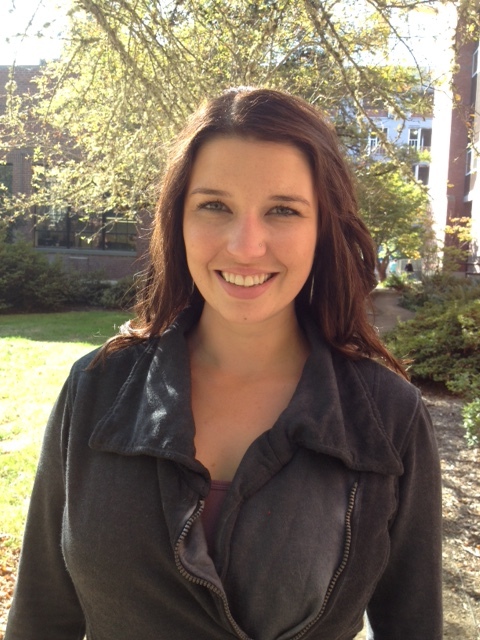 Jill Schrlau has been working as a Research Assistant since June 2009 in the lab of Dr. Staci Massey Simonich. She is now going back to school to be able to change careers from analytical chemistry to environmental engineering with a specific interest in remediation. Jill has two Bachelor degrees under her belt, and will soon have two Master’s degree. Jill’s current MS research is on the degradation of PAHs in contaminated soil using four different cultures of aerobic microbial cultures. Identification of degradation production products and their potential toxicity compared to the parent PAHs will fill knowledge gaps in the field of bioremediation of PAHs. This project is a collaboration between Dr. Staci Massey Simonich in the Department of Environmental and Molecular Toxicology and Dr. Lewis Semprini in the Department of Chemical, Biological, and Environmental Engineering at Oregon State University. Besides science, Jill enjoys gardening, ballroom/swing dancing, and traveling. 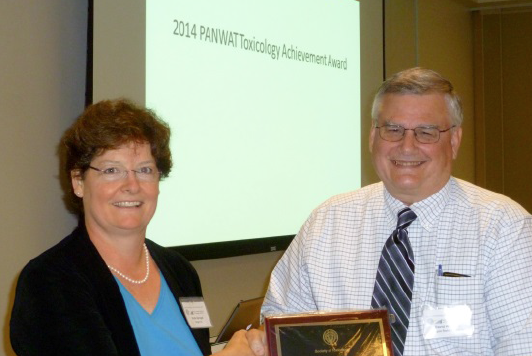 Dr. David Williams was recently awarded the PANWAT Achievement Award at the 2014 Pacific Northwest Association of Toxicologist Meeting in Bothell, Washington on September 19. Dr. Williams joined the faculty of the College of Agricultural Sciences in 1987 as an Assistant Professor, originally in Food Science and Technology, then transferring to the Department of environmental and Molecular Toxicology. Over his 27 years on the faculty in the College of Agricultural Sciences, Dave emerged as an outstanding scholar, instructor and leader. He has been instrumental in developing new research programs or initiatives, most recently by leading the development of the OSU Superfund Research Program (SRP) Center application. Dave has also played a major role in identifying new faculty candidates, directing recruitment and especially mentoring new faculty who have joined EMT. David is a nationally and internationally recognized leader in the fields of toxicology and carcinogenesis as evidenced by his role as peer reviewer for scientific manuscripts for many journals, especially through his leadership role as an Associate Editor of Toxicology and Applied Pharmacology for 10 years (arguably the top ranked toxicology journal in the world), and for which he has managed over 220 manuscripts to date. He has also served as an interim Department Head of EMT, Center Director of two NIEHS-funded centers (Director of both the Superfund Research Program and Marine and Freshwater Biomedical Sciences Center at OSU). In addition, Dr. Williams has an outstanding record of leadership in the national scientific community, through his continuous participation as an invited reviewer by NIH in the peer review of research grant applications. Two other faculty members of OSU Environmental and Molecular Toxicology have recently received this award ‐ Dr. Robert Tanguay in 2012 and Dr. Nancy Kerkvliet in 2011. Posted in Awards, Researcher Highlight.